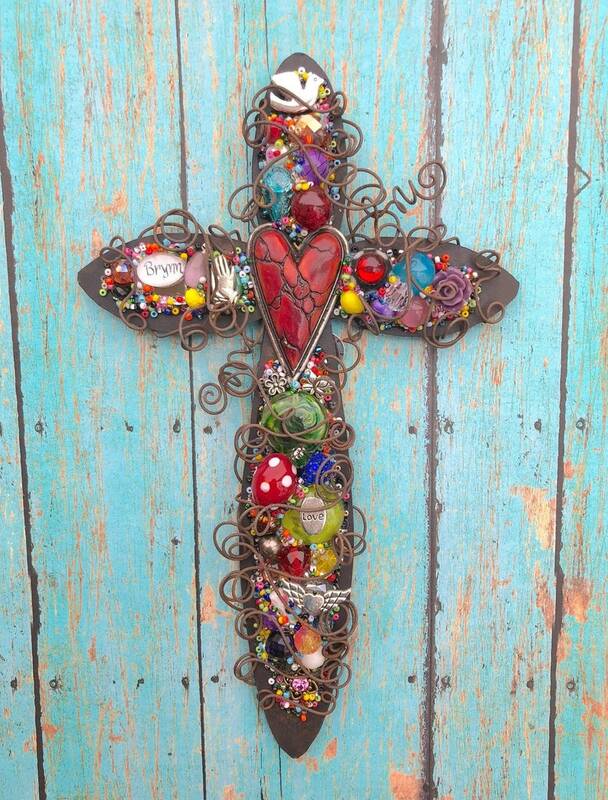 Rusty Wall Cross adorned with a mixture of colorful beads and charms to match the unique cracked red heart focal. 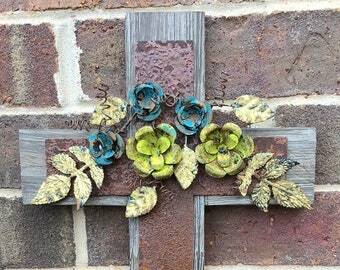 After securing all the eclectic pieces, I then sculpt the cross with rusty wire in my unique way of wire wrapping. 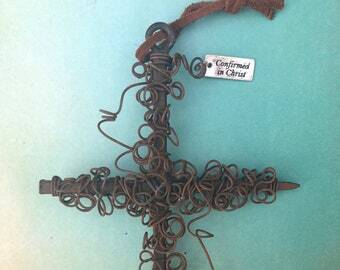 I've made this style cross so that it would be a wonderful Confirmation or Baptism gift. 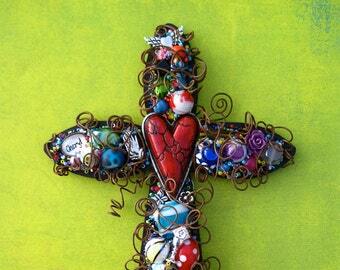 Added to the cross is a dove charm at the top. AND the name of the child can be added. 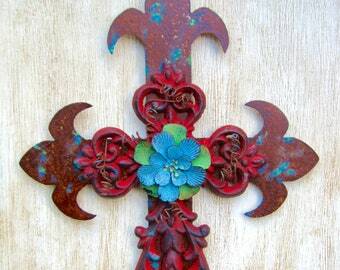 Such a beautiful cross! Made a great gift for my Goddaughter’s confirmation. Quick shipping too! Will definitely buy again!